On May 12, 2016, the U.S. Environmental Protection Agency (EPA) took another set of steps under the President’s Climate Action Plan: Strategy to Reduce Methane Emissions and the Clean Air Act to cut methane emissions from the large and complex oil and natural gas industry and keep the Administration on track to achieve its goal of cutting methane emissions from the oil and gas sector by 40 to 45 percent from 2012 levels by 2025. EPA’s actions include three final rules that together will curb emissions of methane, smog-forming volatile organic compounds (VOCs) and toxic air pollutants such as benzene from new, reconstructed and modified oil and gas sources, while providing greater certainty about Clean Air Act permitting requirements for the industry. EPA also took a critical step needed to carry out the Administration’s commitment to regulate methane emissions from existing oil and gas sources: the agency issued for public comment an Information Collection Request (ICR) that will require companies to provide extensive information instrumental for developing comprehensive regulations to reduce methane emissions from existing oil and gas sources. Methane, the key constituent of natural gas, has a global warming potential more than 25 times greater than that of carbon dioxide. Methane is the second most prevalent greenhouse gas emitted by human activities in the United States, and approximately one-third of those emissions come from oil production and the production, processing, transmission and storage of natural gas. Methane from the oil and gas industry comes packaged with other pollutants: VOCs, which are a key ingredient in ground-level ozone (smog); and a number of pollutants known as “air toxics” – in particular, benzene, toluene, ethylbenzene and xylene. Ozone is linked to a variety of serious public health effects, including reduced lung function, asthma attacks, asthma development, emergency room visits and hospital admissions, and early death from respiratory and cardiovascular causes. Air toxics are known or suspected to cause cancer and other serious health effects. The methane reductions from the final New Source Performance Standards (NSPS) will build on the agency’s 2012 rules to curb VOC emissions from new, reconstructed and modified sources in the oil and gas industry. EPA’s final rule will get more methane reductions than estimated at proposal because of changes made in response to the more than 900,000 public comments we received. For example, the final rule requires low production wells to monitor leaks, rather than exempting them as proposed. Also, the final rule requires compressor stations to monitor leaks four times a year, rather than twice a year. Reducing methane emissions is an essential part of an overall strategy to address climate change. Climate change impacts affect all Americans’ lives, from stronger storms and longer droughts to increased insurance premiums, food prices and allergy seasons. The most vulnerable among us — including children, older adults, people with heart or lung disease and people living in poverty – are most at risk from the impacts of climate change. The reductions from the final NSPS, along with methane reductions from EPA’s new Natural Gas STAR: Methane Challenge Program and actions by other federal agencies, will help the country continue moving toward safe and responsible oil and natural gas development. EPA also is working to complete final Control Techniques Guidelines (CTGs) for reducing VOC emissions from existing oil and gas sources in certain ozone nonattainment areas and states in the Ozone Transport Region. The agency anticipates issuing the CTGs later this spring. Building on its 2012 requirements to reduce VOC emissions, EPA has updated the NSPS for the oil and gas industry to add requirements that the industry reduce emissions of greenhouse gases and to cover additional equipment and activities in the oil and gas production chain. The final rule will accomplish this by setting emissions limits for methane, which is the principal greenhouse gas emitted by equipment and processes in the oil and gas sector. Owners/operators will be able to meet the limits using technologies that are cost-effective and readily available. The final NSPS will yield significant reductions in methane emissions from new, reconstructed and modified processes and equipment, along with reducing VOC emissions from sources not covered in the agency’s 2012 rules. These sources include hydraulically fractured oil wells, some of which can contain a large amount of gas along with oil, and equipment used across the industry that was not regulated in the agency’s 2012 rules. The final rule also requires owners/operators to find and repair leaks, also known as “fugitive emissions,” which can be a significant source of both methane and VOC pollution. Most sources subject to the 2012 VOC reduction requirements now also are covered by the new requirements to reduce methane. However, they will not have to install additional controls, because the controls to reduce VOCs also reduce methane. Sets a fixed schedule for monitoring leaks. The final rule sets a fixed schedule for monitoring leaks rather than a schedule that varies with performance. For well sites, including low-production well sites, the rule requires leaks monitoring twice a year. 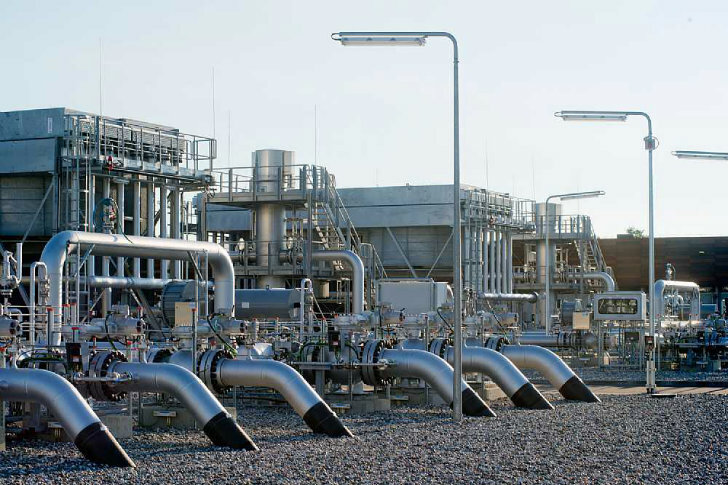 Compressor stations — generally large facilities encompassing numerous pieces of equipment that operate continuously and under significant pressure — must conduct quarterly leaks monitoring. Owners and operators at all sites will have one year to conduct an initial leaks monitoring survey. Allows an alternative approach for finding leaks. In addition to optical gas imaging (special cameras that allow the user to “see” leaks), the final rule allows owners/operators to use “Method 21” with a repair threshold of 500 ppm as an alternative for finding and repairing leaks. Method 21 is an EPA method for determining VOC emissions from process equipment. The method is based on using a portable VOC monitoring instrument, such as an organic vapor analyzer (sometimes referred to as a “sniffer”). Offers owners/operators the opportunity to use emerging, innovative technologies to monitor leaks. The final rule outlines the type of information owners/operators would need to submit to receive approval to use those technologies to meet their leaks monitoring requirements. Phases in requirements for using a process known as a “green completion” to capture emissions from hydraulically fractured oil wells. Owners/operators will have six months from the time the final rule is published in the Federal Register to meet the green completion requirements. Owners/operators of hydraulically fractured oil wells will be required to reduce emissions using combustion controls until the green completion requirement takes effect. Before issuing the proposed regulations in 2015, EPA sought input from states, tribes, industry and environmental groups, and continued to do so as it developed the final rules. The agency received more than 900,000 public comments on the proposed NSPS and held three public hearings. A number of states regulate, or are considering regulating, air pollution from the oil and natural gas industry, and EPA’s rules allow them to continue to do so. Under the Clean Air Act, states have the authority to regulate air emissions from sources within their boundaries, provided their requirements are at least as protective as federal requirements. The final rule provides a pathway for companies to harmonize the NSPS with any comparable state requirements they may have. The final NSPS is expected to reduce 510,000 short tons of methane in 2025, the equivalent of reducing 11 million metric tons of carbon dioxide. Natural gas that is recovered as a result of the rule can be used as a fuel on site or sold. EPA estimates the final rule will yield climate benefits of $690 million in 2025 (2012$), which will outweigh estimated costs of $530 million. Net climate benefits are estimated at $170 million in 2025. The rule also is expected to reduce other pollutants, including 210,000 tons of VOCs and 3,900 tons of air toxics in 2025. These reductions also are expected to yield benefits; however, EPA was not able to quantify those. Those benefits include reductions in health effects related to fine particle pollution, ozone and air toxics, along with improvements in visibility. EPA issued the first draft of an Information Collection Request (ICR), seeking a broad range of information on the oil and gas industry, including: how equipment and emissions controls are, or can be, configured; what installing those controls entails; and the associated costs. This includes information on natural gas venting that occurs as part of existing process or maintenance activities, such as well and pipeline blowdowns, equipment malfunctions and flashing emissions from storage tanks. Industry will be legally required to respond to the final ICR. EPA announced its plans to issue the ICR on March 10, 2016, as part of a joint commitment between the U.S. and Canadian governments to take new actions to reduce methane pollution from the oil and gas sector, including through regulations for existing sources. The ICR is the first step in that process; the information companies will report to EPA will provide the foundation necessary for developing comprehensive regulations to reduce emissions from existing oil and gas sources. Over the past year, substantial amounts of new information on methane emissions from the oil and gas industry have become available from a range of entities, including EPA’s Greenhouse Gas Reporting Program, industry organizations, and research studies by government, academic and industry researchers. That information shows that methane emissions from this large and complex industry are much higher than previously understood. The information EPA receives through the ICR will help the agency determine how to best reduce emissions from existing sources. It will help EPA identify sources with high emissions and the factors that contribute to those emissions. And it will build on information that states with regulatory programs have already developed about this industry. In addition, because technology to detect, measure and mitigate methane emissions is rapidly developing, EPA plans to issue a voluntary Request for Information, inviting oil and gas owners and operators, along with states, nongovernmental organizations, academic experts and others, to provide information on innovative strategies to accurately and cost-effectively locate, measure and mitigate methane emissions. EPA will issue the Request for Information soon. EPA issued two rules to clarify permitting requirements for the oil and natural gas industry: the Source Determination Rule, and a final federal implementation plan to implement the Minor New Source Review Program in Indian country. EPA has issued a final rule to clarify when multiple pieces of equipment and activities in the oil and gas industry must be deemed a single source when determining whether major source permitting programs apply. The programs are the Prevention of Significant Deterioration (PSD) and Non-attainment New Source Review pre-construction permitting programs, and the Title V Operating permits program. The final rule defines the term “adjacent” to clarify that equipment and activities in the oil and gas sector that are under common control will be considered part of the same source if they are located near each other – specifically, if they are located on the same site, or on sites that share equipment and are within ¼ mile of each other. Input from states, industry and other commenters was helpful in finalizing these requirements. The final rule applies to equipment and activities used for onshore oil and natural gas production, and for natural gas processing. It does not apply to offshore operations. For more information on the final Source Determination Rule, including a fact sheet on the rule, see https://www3.epa.gov/airquality/oilandgas/actions.html. EPA also has issued a final rule to implement the Minor New Source Review Program in Indian country for oil and natural gas production. Known as a Federal Implementation Plan, or FIP, the rule will limit emissions of harmful air pollution while making the pre-construction permitting process more streamlined and efficient for this industry, which has expanded rapidly in some areas of Indian country. The FIP will be used instead of site-specific minor New Source Review (NSR) pre-construction permits in Indian country and incorporates emissions limits and other requirements from eight federal air standards — including the final NSPS — to ensure air quality is protected. The final FIP applies throughout Indian country, except non-reservation areas, unless a tribe or EPA demonstrates jurisdiction for those areas. Requirements of the FIP apply to all new and modified true minor sources in the production segment of the industry that are seeking minor NSR permits in areas designated as attainment or unclassifiable for a National Ambient Air Quality Standard. Sources locating in non-attainment areas will need to seek site-specific minor NSR permits, or comply with reservation-specific FIPs, where those exist. For more information on the final FIP, including a fact sheet on the rule, see https://www3.epa.gov/airquality/oilandgas/actions.html. To read the final rules, including additional fact sheets, visit https://www3.epa.gov/airquality/oilandgas/actions.html. To read the draft Information Collection Request notice, along with additional information, visit https://www3.epa.gov/airquality/oilandgas/methane.html.